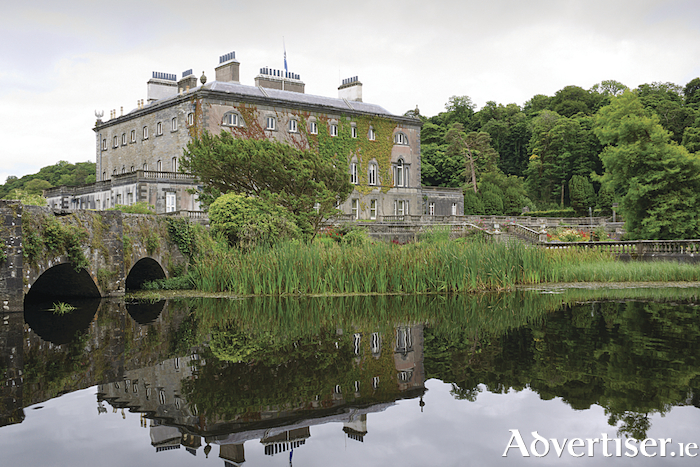 Winter Wonderland at Westport House is a magical family experience brimming with Christmas cheer that will leave the children starry-eyed and the whole family believing in fairy-tales. Escape the wintery weather outside for the warmth of open fires in this stunning historic house. Soak up the twinkling lights, lush green garlands, and tinsel trimmings spilling festively from every corner of Westport House as the little ones enjoy a fun-filled Christmas experience they are sure to remember forever. The guided Winter Wonderland experience will begin with a visit to the live crib situated on the front lawn of Westport House. The live crib is in aid Holy Trinity Church and St Mary’s Church, which are urgently fundraising for restorative works. After visiting the crib, make your way inside to the front hall and be greeted by Santa's Little Helper who will lead a small group of families through the guided experience. You will start the journey with story-time by the fireplace of the drawing room with a warm welcome from Mrs Claus who will tell the magical Christmas Story of 'Stumpa'. Your next stop will include festive face-painting to really get you in the Christmas spirit, followed by learning all about the Gingerbread Man – while decorating your own - in the long gallery. To emphasise the real spirit of Christmas, make a wish at the Christmas Wishing Tree, where children can write down their wishes and hang them on a branch of their choosing. Then it is the main event with a visit to Santa in his magical grotto where he will have a chat with the children, give gifts, and take photos to remember this special occasion (you may take your own photos or avail of professional photography service ). The group size will include no more that 12 to 15 children. After meeting Santa, see the elves hard at work in the Elves Workshop where you will have the opportunity to make your own yuletide log. Refreshments will be available in the Old Kitchen Café, including homemade sweet and savoury delights, with free juice for the children and a festive drink for the adults. After this the Westport Train arrives and you can enjoy winter time views around the house before you depart. Booking is through www.westporthouse.ie/events/winter-wonderland Actual characters may differ on the day of your visit depending on availability.